Incella’s technology: our thiol-yne based combinatorial click chemistry method allows parallel, high-throughput synthesis of hundreds of novel lipid-like chemicals in a cost effective manner. Every lipid-like molecule can be used to produce a novel transfection reagent with different properties. We combine our expertise in chemistry and biology to create an interdisciplinary research and development environment that encompasses chemical design, synthesis, liposomal reagent preparation, cell-based screening assays as well as identification and final optimization of novel transfection reagents. 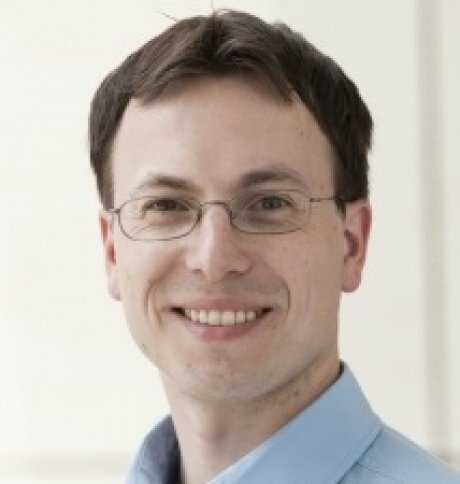 Chemist Dr. Pavel Levkin from the Karlsruhe Institute of Technology (KIT) received the 2015 Heinz Maier-Leibnitz Prize. This award, issued by the German Research Foundation (DFG), is the most important prize for young researchers in Germany. Research in cell/surface interaction, developing biofunctional materials and extremely hydrophobic surfaces along with nanoparticles for targeted medication and gene transport are among Pavel Levkin’s scientific focal points. He achieved great scientific success with the synthesis of lipid-like molecules to modify the genes of cells. Jochen Kratsch on a presentation at a meeting in Paris about Novel Transfection Reagents using Combinatorial Chemistry and High-Throughput Cell Screening.